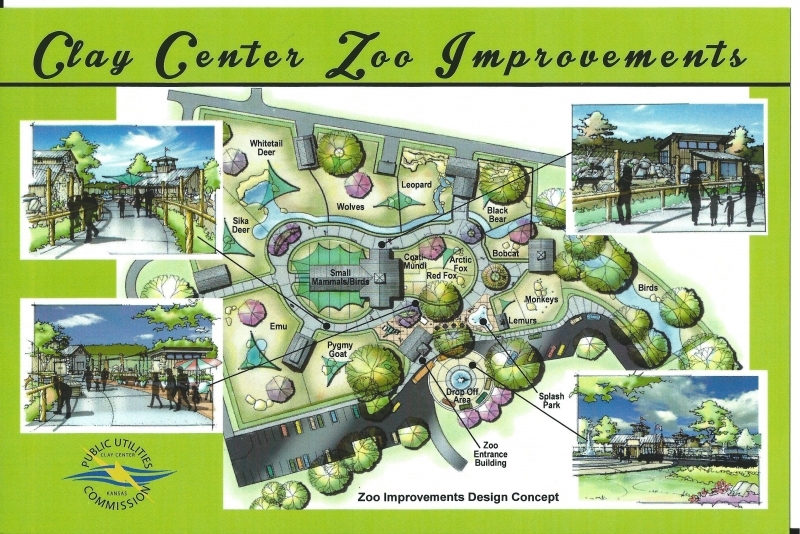 How about sending a check to help Utility Park & Zoo expand? Read below how to do that and also save on your taxes! 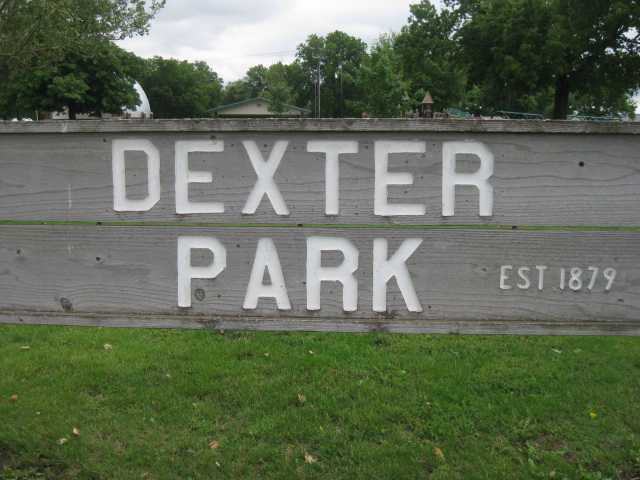 Utility Park and the Zoo has been a favorite family entertainment spot for many generations. It has a very interesting background since the days when people worked to create the park as a way of paying their utility bills. 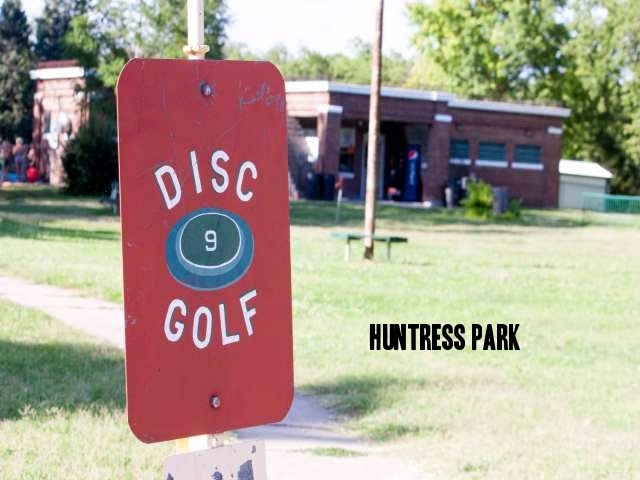 Since it's beginning the park has been supported and maintained by the Public Utility Commission without any tax funds being expended on maintaining the park. Public Utility employees have spent many hours creating the unique and popular children’s playground, the impressive Christmas decorations that are being expanded each year and the Zoo itself. Much of the playground equipment is from donations made by individuals. There are also many dedicated and faithful volunteers that help with the Zoo. The Zoo and Park is being expanded to the west of the park with addition of a very nice walking trail. 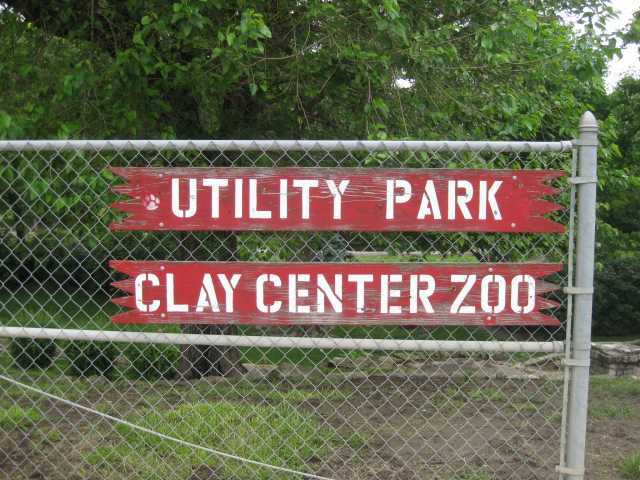 The addition of the Zoo has been a source of pleasure for local residents as well as for visitors to Clay Center. You can go through the park anytime and see local as well as out of town visitors enjoying the Zoo, children playing or families having a picnic. Money is needed to continue to expand both Utility Park and the Zoo. Your donation will qualify as a tax deductible donation. 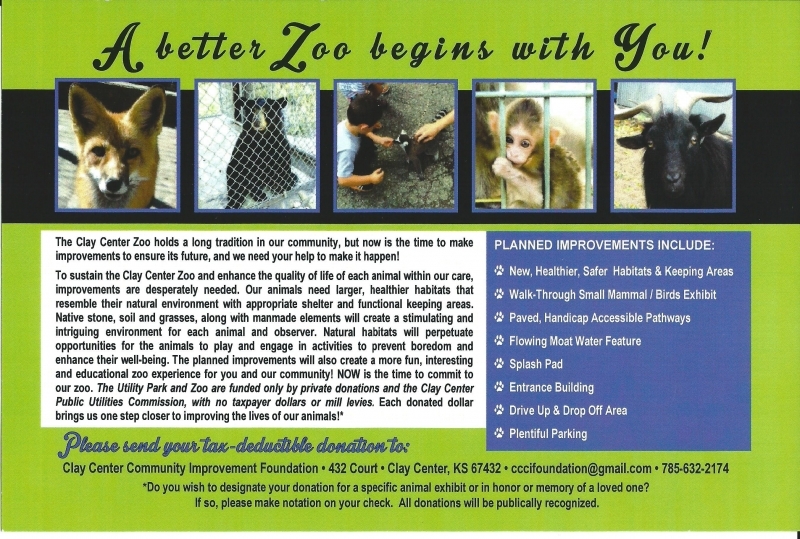 Be sure to indicate on your check that your donation is for either Utility Park or the Zoo. 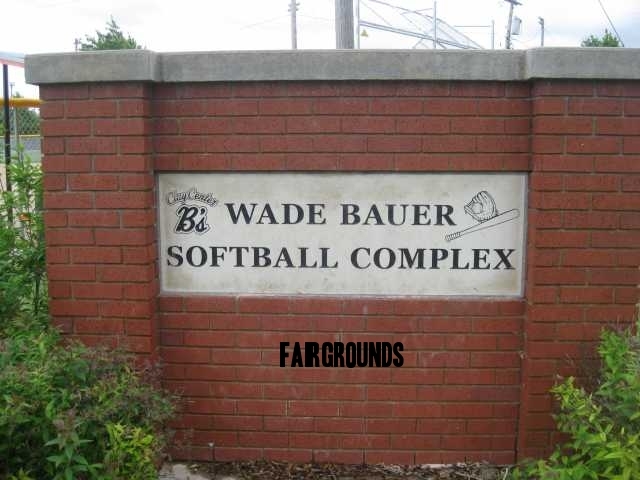 The donations will be forwarded from the Foundation to the Public Utility Commission and will be used to repair and expand Utility Park and the Zoo. A family, individual, organization or even a CCCHS Alumni class can select a particular project, provide the funding for it and they will be recognized as the donor for the project. To inquire about possible projects contact Utilities Superintendent Scott Glaves at 785-632-2137. Local residents as well as visitors can take advantage of the opportunity to contribute to this popular community attraction. Together we can make a difference. We can make our park even better than it is and provide a special place for family enjoyment for many generations.